Question Time, the BBC's premier political debate programme chaired by David Dimbleby, will be in London on 14 June, 2007 for the Labour deputy leadership special. David Dimbleby will be joined by Northern Ireland and Wales secretary Peter Hain, Constitutional Affairs minister Harriet Harman, Education secretary Alan Johnson, Labour party chairman Hazel Blears, International Development secretary Hilary Benn and Dagenham MP John Cruddas. 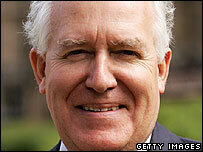 Career: A key ally of the Prime Minister in the cabinet, Peter Hain was Leader of the House of Commons before becoming Secretary of State for Northern Ireland and Wales. He was raised in South Africa and entered politics during his youth through the anti-apartheid movement. In September he became the first cabinet member to launch his campaign for Labour's deputy leadership. He says he wants the role of deputy leader to be "an umbilical cord between the cabinet and grassroots members", and wrote in the New Statesman on 7 June: "The relationship between Labour and millions of progressive voters has become sour and distrustful. We have been careless, indifferent and, at times, needlessly offensive to the concerns and values of too many of our natural supporters." Career: Harriet Harman is the Constitutional Affairs minister, having previously been the UK's first female Solicitor General. She announced in September that she is putting her name forward as a contender for the deputy leadership of the Labour Party, describing herself as the "Radio 2" candidate. She recently admitted that she regretted supporting the invasion of Iraq, saying: "I voted for the war because I believed there were weapons of mass destruction. If I had known there were not weapons of mass destruction, I would not have voted for the war." 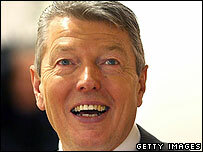 Career: Alan Johnson has been the Secretary of State for Education since May 2006. Having left school with no qualifications, he worked as a postman before entering union politics, becoming General Secretary of the Communication Workers Union in 1993. During this time he served on the National Executive Committee of the Labour Party and was the only major union leader to support the controversial abolition of Clause IV of the party's constitution, as advocated by Tony Blair. In May 2006 he announced his desire to succeed John Prescott as deputy leader and entered onto the ballot with the highest number of nominations of any of the candidates. 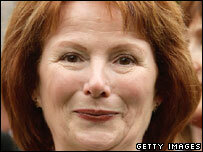 Career: Hazel Blears is the Labour Party Chairman and Cabinet Minister without Portfolio. 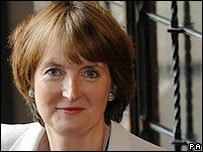 She was promoted to the Cabinet in last May's reshuffle, having been the Labour MP for Salford since 1997. She worked as a solicitor before her election to parliament, going on to take up a post in the Home Office with responsibility for crime and security under Charles Clarke. In February she entered the race for the deputy leadership of the Labour party, and is regarded as the most Blairite of the contenders. She says she sees the role of deputy leader as the party's "campaigner in chief". 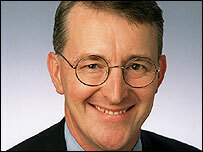 Career: Hilary Benn is the Secretary of State for International Development. The son of veteran Labour politician Tony Benn, he entered politics through Ealing Borough council, where he served as deputy leader from 1986 to 1990. He announced his nomination for the deputy leadership in October 2006, and despite struggling to gain the 45 nominations to secure his place in the contest, he has since been touted as a favourite by bookmakers. He recently said: "I think we need to be unapologetic about our socialist values... I want a democracy in which people give something back and that redistributes wealth and opportunity." 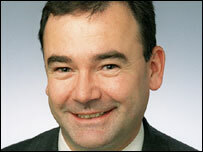 Career: John Cruddas is the MP for Dagenham, and the only one of the five candidates not to hold a cabinet post. He was elected to parliament in 2001, but entered politics in following Labour's 1997 election victory, when he worked as the deputy political secretary to Tony Blair, acting as a link between the new government and the unions. He is seen as the most left-wing candidate for the deputy leadership, but rejects accusations of a "lurch to the left", saying: "I think it's more of a lurch to the sensible, in terms of what are the contemporary challenges we face". He has emphasised the importanance of the role of deputy leader of the party, saying recently: "I am running for deputy leader, but I am not seeking to be deputy prime minister or to run a big department too. Instead I want to focus totally on rebuilding Labour across the country, ensuring that those in the cabinet listen to the people that put them there."